What if they forced you to leave everything behind... to move to New York? 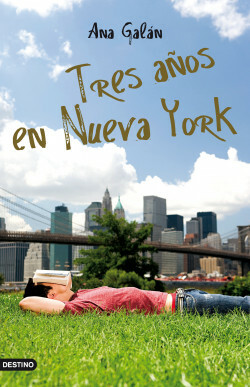 “Three years in New York! ?” When my parents told my sister and me that we were about to move to New York... I just couldn’t believe it!! What would happen with my friends? And with my football team? And with Alejandra? No. I didn’t want to go. There was no reason why. However, almost without noticing it, I was already in my high school, with a new group of friends, speaking an almost perfect English... and into more than one simple mess! A fresh and funny story that catches the reader from the first lines.